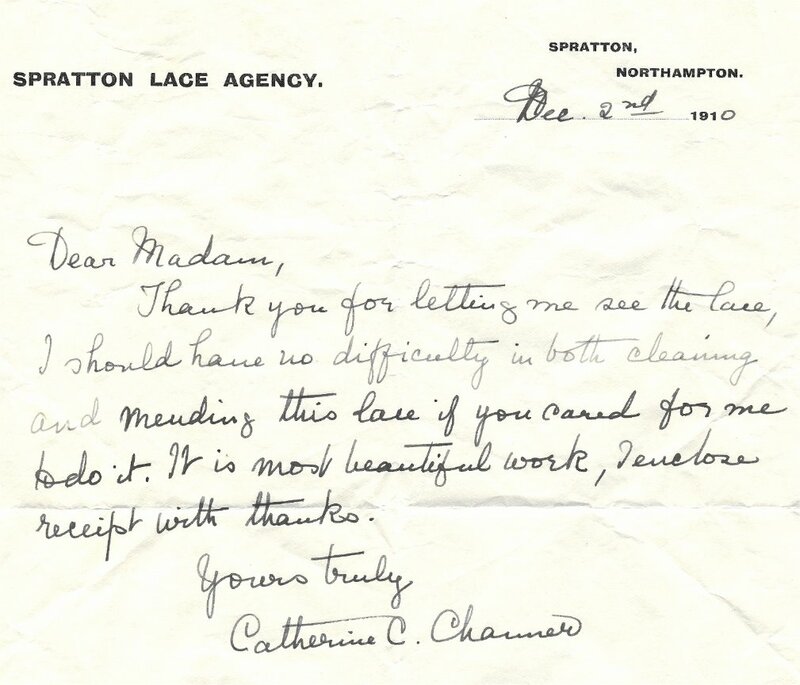 Mrs Ann Martin of Spratton, who died in 1918 at the age of about 91. 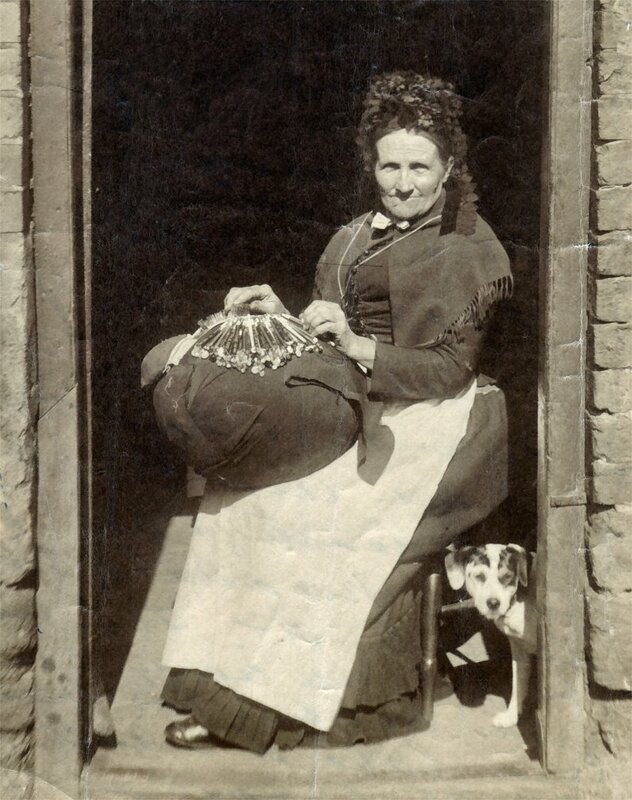 She was a successful professional lacemaker until close to her death. 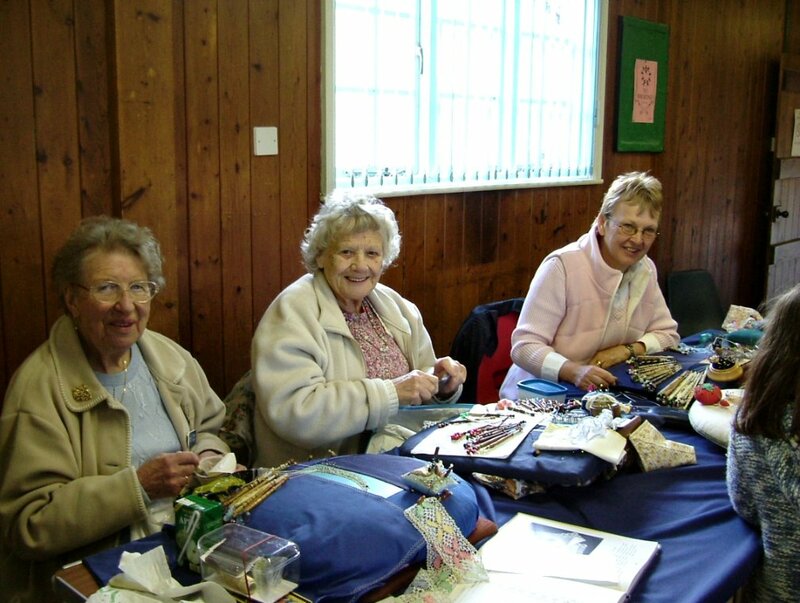 She was Mary Spearman's great grandmother, and she lived at Rose Cottage in High Street. 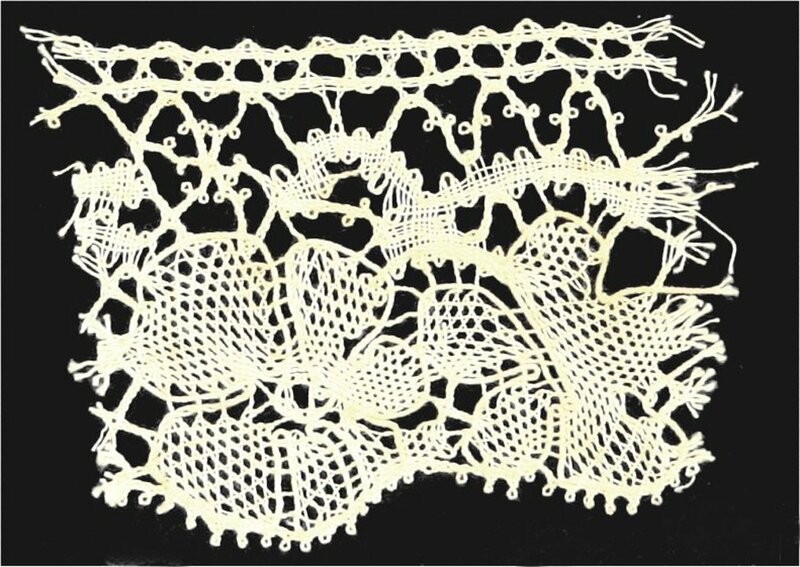 Honeycomb and Bud lace by Mrs Green - an example of Point Ground lace, now known as Buckinghamshire Point. These narrow edgings were popular for trimming baby's clothes. 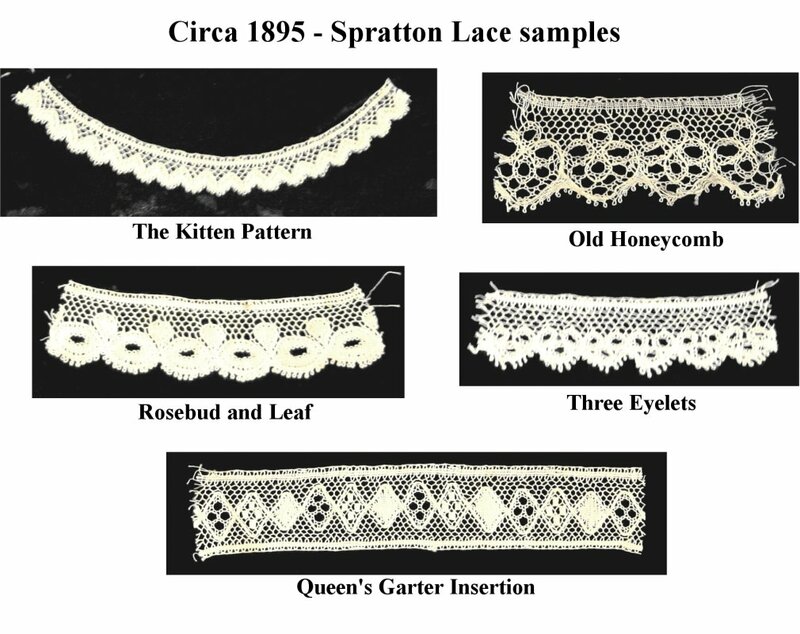 One Eyelet lace by Mary Copson - an example of Point Ground lace, now known as Buckinghamshire Point. These narrow edgings were popular for trimming baby's clothes.